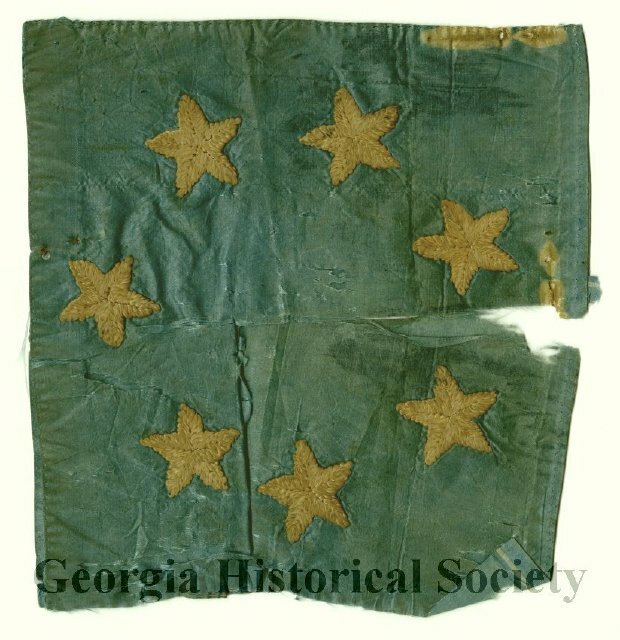 Robert Hamilton Harris (1842-1929), of Thomasville, Georgia, served in Company A, 29th Regiment of the Georgia Infantry. On October 13, 1863, Harris married Martha “Mattie” Love (1845-1900). Several of Harris’ letters to Mattie, before and after they were married, have been preserved. This particular letter includes Harris’s hand-drawn map of Sapelo Island. During the Civil War, sea islands like Sapelo were strategically important because of the Union’s emphasis on creating a naval blockade of the Southern coastline. 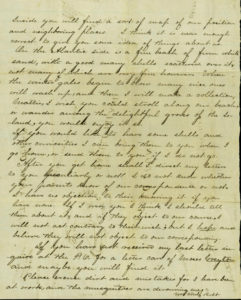 Letter from Robert Hamilton Harris to Martha “Mattie” Love, c.1861-1863, Sapelo Island, Georgia. 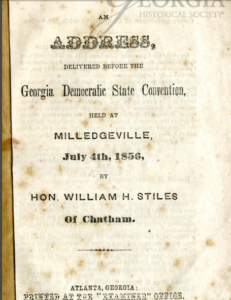 Courtesy of the Georgia Historical Society Manuscript Collection. MS 2135. This piece of a Confederate flag was given to Lawrence Cecil Berrien by a girlfriend when he left Savannah. Berrien carried it with him during the war as a Confederate Soldier. Part of a Confederate flag. 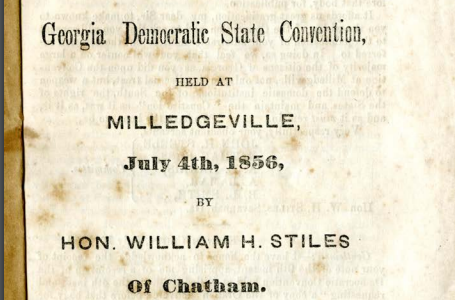 From Georgia Historical Society Collection. A-0067-003. This ten dollar note was issued by the Confederate States of America in 1864. 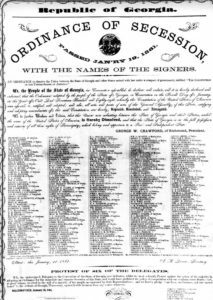 The Confederate currency–called “Greyback” to differentiate from the Union “Greenback”–was first issued at the outbreak of the war, and this money was based on no collateral assets, but instead it was a kind of “I owe you” for after the war. 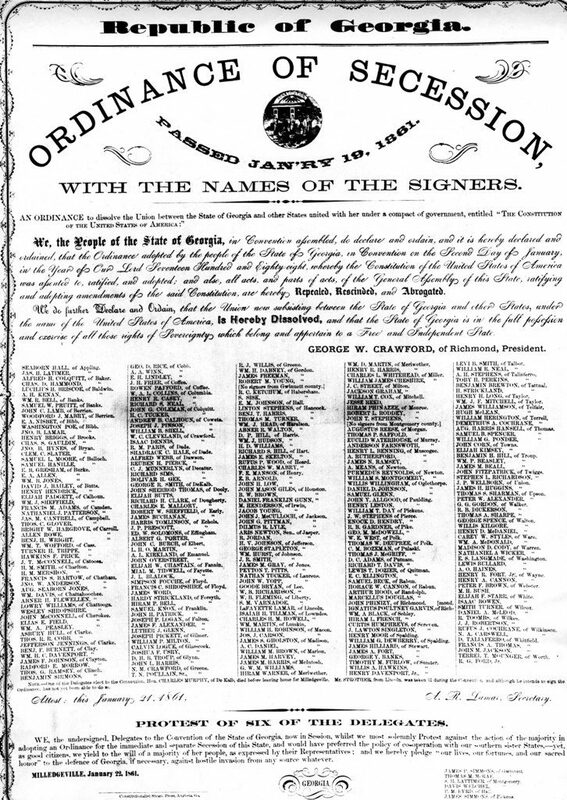 It was merely a promise to pay back the Confederate government once the South was victorious. Since this never came to be, the money lost value as the war went on.